Image Source : GETTY IMAGES A file image of Aditi Ashok with her title. 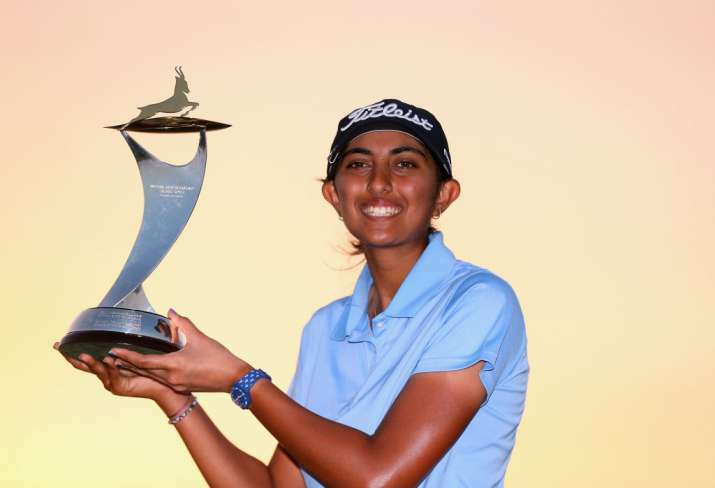 Young Indian golfer Aditi Ashok made a triumphant return to the Ladies European Tour by clinching the Fatima Bin Mubarak Ladies Open after surviving a few anxious moments in the closing stages. It is Aditi's third LET win in less than 12 months. India's other player, Vani Kapoor (70) finished in a tie for 57th.